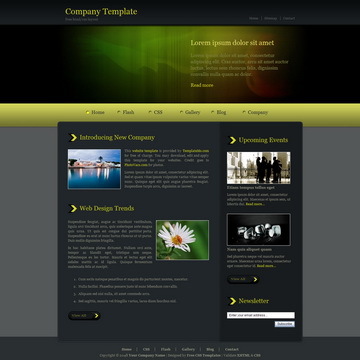 Company template is a fixed width layout using a green color menu bar and s3Slider jQuery plugin. 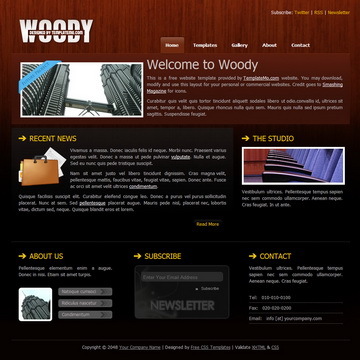 Company template is a fixed width layout using a yellow color menu bar and s3Slider jQuery plugin. 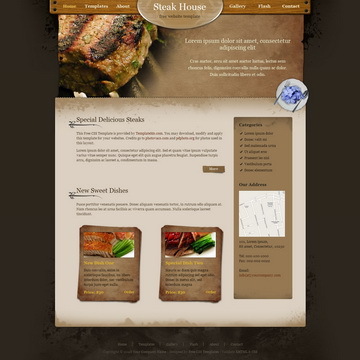 Steak House is a 2-column fixed layout with main menu on top of the header using wooden color theme. 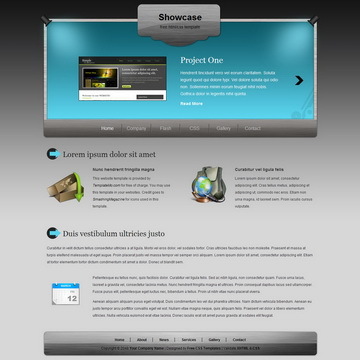 Showcase Template is simply attractive clean website layout using blue and gray colors, integrated with jQuery content slider. 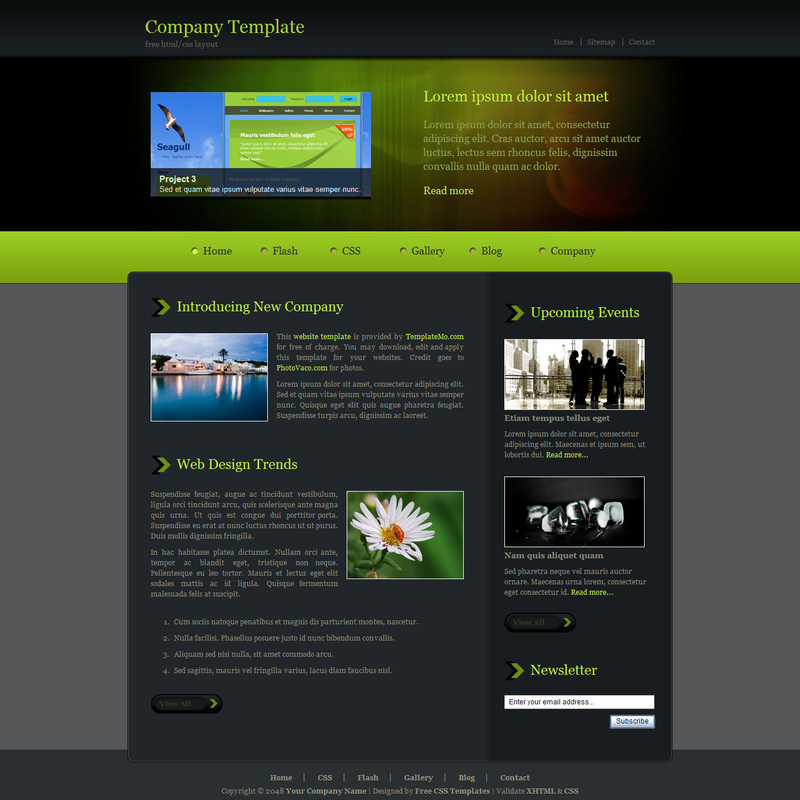 Company Green Template is licensed under Creative Commons. Permissions beyond the scope of this license is available here. You are allowed to download, edit and use this Company Green HTML CSS layout for your commercial or non-commercial sites. Please share Company Green Template to your friends. Thank you.